Do you have an extra $1,111,111 kicking around? If so, the "Big One For One Drop" gets underway in less than five days. 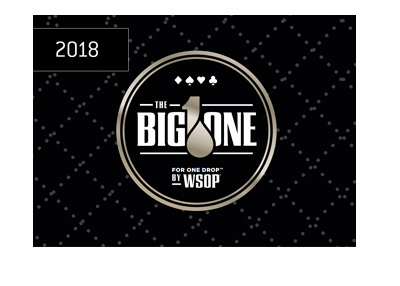 At 11:00 am on Sunday, July 15th, dozens of the best poker players in the world (and a number of rich amateurs) will gather to play for their share of millions of dollars, and to benefit the One Drop charity. In mid-June, the World Series of Poker released an update in which they said that 30 of the 48 open spots for the tournament had been filled. The list of players who had paid their non-refundable deposit included some of the biggest names in poker, including the likes of Phil Ivey, Daniel Negreanu and Phil Hellmuth. In addition, regulars in ultra high buy-in tournaments had also registered, and these regulars included the likes of Jason Koon, Bryn Kenney and Rainer Kempe. On top of that, a number of amateurs had already registered, including Rick Solomon and Leon Tsoukernik. Patrik Antonius has been in Las Vegas for the World Series of Poker and it seems hard to imagine that he would turn down the opportunity to play in this event, especially given the tournament success that he has enjoyed so far this year. Gus Hansen has also been busy in Las Vegas this summer, though he has tended to stay in the high stakes cash games. Justin Bonomo is actively selling pieces in the event, so he will be playing. This goes for Fedor Holz as well, who has said that he will be selling up to 20% of his action at a 1.08 markup. Erik Seidel is also a likely candidate to play in this event. If the event ends up selling out, the 48 players will be battling for a prize pool of over $44 million. This tournament has run in Las Vegas two times previously, with Antonio Esfandiari taking down the first ($18,346,673) and Daniel Colman taking down the second ($15,306,668). Antonio Esfandiari has paid his deposit to play this year, while it is still unknown if Colman will be playing.